The Insta 360 Pro is the first “affordable” professional 360 camera. For a cool $3,500 you get a 6 lens soccer ball shaped camera that can shoot 8K full 360 video, live stream 4K 360 video, shoot 8K photos and stabilize video on the fly. 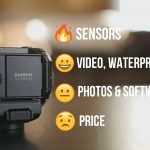 The preview videos suggested that the camera could indeed produce excellent quality 360 footage, almost on par with the Nokia Ozo and GoPro Omni, both of which are thousands of $ more expensive. This camera is designed to be everything a professional 360 creator could want in a single easy to use package, and a LOT of people are very excited to try it out. For a full list of specs see my previous post on the Insta 360 Pro. 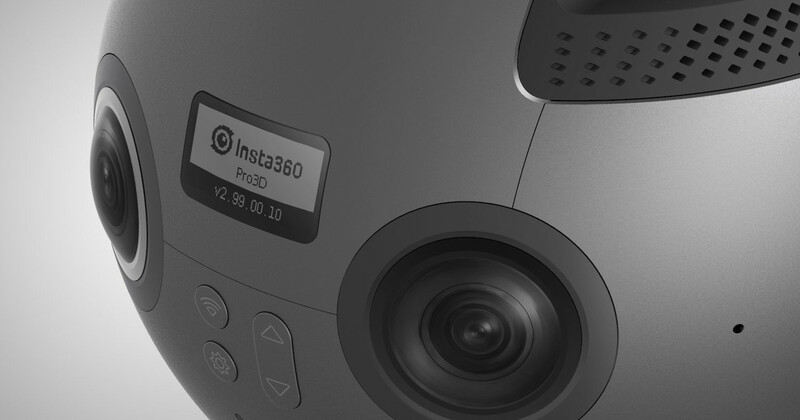 The past week has seen the official release of the Insta360 Pro and many people around the world are receiving their cameras and beginning to test them out. Has the pro met the high expectations set by the impressive specifications and preview videos? Let’s find out. 1. 8K Outdoor Video test from CreatorUp! This is what we’ve all been waiting to see; what does 8K 360 video from the Insta360 Pro actually look like? Well thanks to 360 creator and YouTuber CreatorUp! this long awaited moment has finally arrived. This video has been uploaded to YouTube in full 8K quality, but you’ll need a pretty good internet connection to stream it properly. This was the first 360 video I saw from the Insta 360 Pro and I must say that it impressed me. Even at 4K and less the quality is a huge improvement over consumer 360 cameras and looks the same as a HD quality video. There are no visible stitching lines and the colors are now washed out or too vibrant (I’ve found both to be a common issue in 360 cameras). Watching at 8K is a struggle for my internet, but when it does eventually load the footage looks absolutely amazing, even at full screen. One of the most unique features of the Insta 360 Pro is the fact it can shoot slow motion 120 fps 360 video in 4K. As far as I know no other 360 camera can do this and it’s an extremely cool feature with so much potential. The video above is the first example of slow motion 360 video from the Pro I’ve seen, and again it’s pretty impressive. Yes, the quality isn’t as good as the first video and there’s quite a lot of blocky pixels, but this is to expected from any 120 fps video. The fact that the Pro can create this type of video is quite a feat and the combination of slow motion and 360 is going to be a game changer in my opinion! Like most 360 cameras the Insta360 Pro is capable of shooting in time lapse mode, which makes for some pretty awesome video. The quality of the time lapse varies from camera to camera and this video above is the only time lapse from the Insta360 Pro I’ve found. The setting isn’t particularly exciting but you can still see the time lapse at work and it looks pretty decent. I do notice a bit of stuttering at the start, maybe some frame rate issues, but otherwise the quality is very nice. One of the most important considerations when shooting 360 video is stabilization. It’s extremely important to keep your video looking as smooth as possible when shooting in 360, but this is almost impossible when moving. 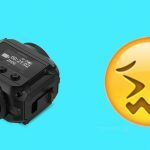 Thankfully the guys at Insta360 have recognised this important issue and in response they developed internal stabilization software for their cameras. This software has been successful on their cheap Insta360 Nano and Air cameras, but what about the much larger Pro? This video from AeroFotografie shows the camera being moved around the scene with the stabilization software at work. It does seem to successfully remove vibrations and shakes associated with movement, however it’s not a perfectly smooth experience and there are a few jolts here and there that make watching in 360 difficult. Software can always be updated and when combined with a physical stabilizer, this should be enough to ensure your 360 video is as smooth as possible. As you can see the 8K image is so much clearer an could easily be used to create professional tours. This was a test shot from the Inst360 Pro, but has this quality be maintained for the full release? Take a look at this 360 image taken with the Insta360 Pro in full 8K; it’s so clear and vibrant and better than any 360 camera I’ve ever tired. The stitching is invisible and the super high resolution means you can zoom in without losing too much of the quality. To get this kind of 360 image usually required a DSLR taking several images and then stitching them manually, a process which can take days. You can now achieve a similar effect in just a few seconds. Insta360 Pro First Impressions – Has it met expectations? No quick release for detaching from tripod. Several other individuals mentioned their own personal positives and negatives, however those are the ones most frequently mentioned. It seems that the Insta360 Pro has loved up to its promise of being the first prosumer 360 camera to shoot 8K 360 video at an affordable price (well, under $10K at least). The videos coming out of this camera are undoubtedly very impressive and the photos are beyond anything available in an all in one 360 camera right now. There are a lot of bugs to sort out, and the issue of fan noise is troubling for those who want to livestream with this camera (no opportunity to edit in post), but Insta360 have been extremely communicative and are listening to their customers. Already several firmware updates have been released to tackle the issues and they have promised to keep working on it for the foreseeable future. This is the first product of its kind, so you’ll need to be prepared to work with insta360 while they iron out the bugs, if you can be patient enough you’ll be rewarded with what is undoubtedly the best 360 camera you can get without forking out over $10,000. The Insta360 Pro is available from Amazon or B&H Photo, both for the same price of $3499. There is quite a back order at the moment and the Pro is proving extremely popular, so I suggest ordering as soon as possible to limit how long you’ll be waiting (at the moment 2 weeks is the minimum). Unfortunately the Insta360 Pro isn’t available as of yet from a UK retailer, however you can get your hands on the Pro by ordering from B&H Photo which deliver to the UK. You’ll have to pay for taxes and duty which will add a significant cost to the camera, check with B&H for the exact cost of this.